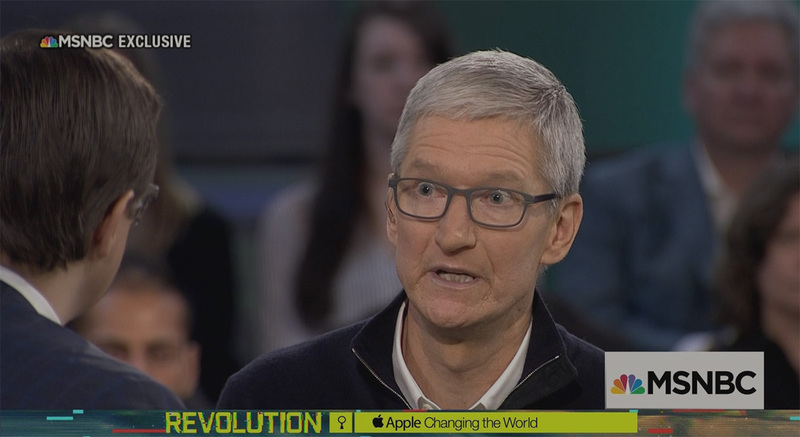 When Tim Cook was interviewed by Recode‘s Kara Swisher and MSNBC‘s Chris Hayes, he took the opportunity to make sure everyone is well aware that while the iPhone is made in China, it is not the only technology we use that is made overseas. Cook was responding to criticism about Apple’s ties with China in particular, but other countries as a whole. Cook pointed out that while the final iPhone was built in China, many of its parts are actually built in the United States, saying that “people just look at where the final product is assembled.” For example, the Face ID module used in the iPhone X is made in Texas, while the glass used in the iPhone and iPad is made by Corning, a U.S. manufacturer. Components are then shipped overseas, with Foxconn and Pegatron putting everything together in China. While political pressure can often be put on companies in many ways, Cook said that it does not push Apple to bring jobs back to the United States as that’s something it is already working to do. Just this past January, Apple said that it would contribute $350 billion to the U.S. economy via its job creation and manufacturing. The full interview will air on MSNBC on Friday, April 6th at 17:00. The title of the segment, “Revolution: Apple Changing the World,” may give you an idea of the tone of the interview. I dont care, Cook. NO! Both should be made in America. NONE FOR CHINA. NOT built in CHINA! I DONT WANT MADE BY CHINA! ENOUGH WITH CHINA! ENOUGH! China hired low pay poor people to do it. STOP IT, COOK! STOP! NO MORE!